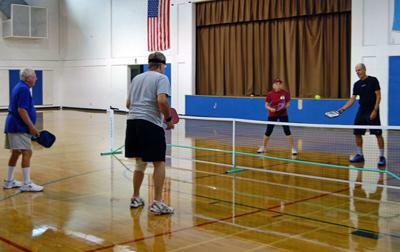 It's been called the sweet sport with the sour name, but with an estimated half a million active players worldwide, Pickleball is growing locally thanks to the Delray Beach Parks and Recreation Department. Now with the National Parks and Recreation month celebration coming in July, you’ll be able to see in action this exciting sport designed for all ages. A Pickleball demonstration and class will be offered as part of the month-long celebration at the Delray Beach Community Center on Saturday, July 18, along with open court time for current players. Playing time is from 1 pm to 3:00 pm.